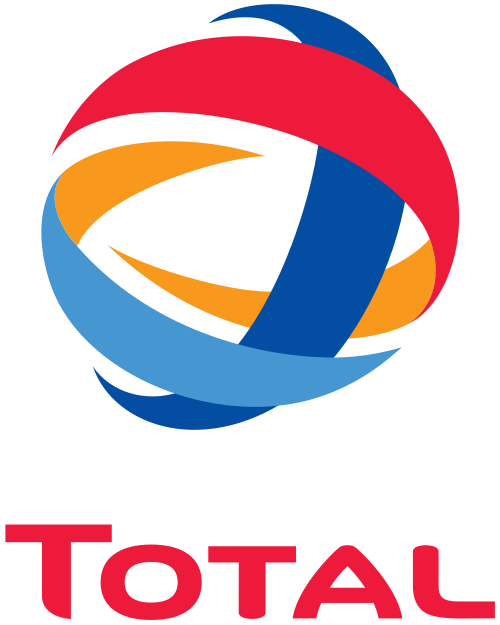 Total Upstream Nigeria Limited Scholarship list of successful candidates (Awardees) has been released. These candidates have been selected for the Total Nigeria National Merit Scholarship Award 2013/2014 sponsored by the OML 130 Asset of Total Upstream Nigeria (TUPNI) and Partners. NNPC/Total hereby announces the award of the 2013/2014 University Scholarships to Students that were successful in the selection test conducted in May 24, 2014 at various centers nationwide. Candidates that took part in the aptitude test can now check if they have been awarded scholarship. Note: All successful Candidates will be contacted through the Deans of Student Affairs of their respective Universities, as well as via e-mail. Scholarship beneficiaries with outstanding payments are required to forward proof of their scholarship awards as well as other relevant documentation to: EP-NG.DW-TUCN-SCHOLARSHIP@total.com not later than 14th January, 2015. Payments not claimed before the closing date of this publication shall be forfeited. ONE hundred Nigerians were deported yesterday from four Scandinavian countries for immigration and related offences. Some of the deportees with criminal and related offences were taken away from the courts in a Coaster bus driven by sheriffs. After documentations yesterday, about three of the deportees were taken away in a Hilux Pick up van to the Beesam Police Station to answer for violence while on board. Their documents, it was learnt, were confiscated by relevant security agencies. One of the deportees, who declined to give his name, alleged that Nigerian Embassy officials in Sweden connived with Norwegian authorities to facilitate their deportation. Another deportee, who also declined to give her name, said despite her being pregnant, the authorities maltreated her in Finland. She said she moved over to Finland to seek asylum from Greece, where she had spent over eight years. Another male deportee said he spent 14 years in Finland with valid documents and yet, he was sent home. He said he was forced to abandon his family, adding that his deportation could have adverse effects. A man, his wife and two teenage children born in Greece, who sought asylum in Finland, were also deported. The deportees said the authorities in the Scandinavian countries were hostile towards Nigerians, as nationals of other African countries were granted asylum. Some of the deportees were seeing appealing to airport workers to give them mobile phones to call their relatives in Lagos to take them home. THE Registrar/Chief Executive Officer of Joint Admissions and Matriculation Board (JAMB), Prof. Dibu Ojerinde, explained yesterday that the result of the Unified Tertiary Matriculation Examination (UTME) could be valid for two years, if there was aptitude test. The JAMB boss spoke in Abuja at the 11th seminar of Independent Corrupt Practices and other related offences Commission (ICPC). Ojerinde said JAMB had secured 375 centres for next year’s UTME, adding that government was planning to give the board 109 additional centres. He noted that last year, JAMB used 156 centres to conduct the UTME. Ojerinde said in the nearest future, JAMB would use Iris of the eye to verify candidates. “In two years time, everywhere in Nigeria will be full of centres. Very soon, UTME examinations will be done individually between January and December,” the JAMB boss said. He lamented that some universities were not using the JAMB album sent to them to verify candidates given admission letters. He noted that candidates were losing billions of naira yearly for not filling forms properly. ICPC Chairman Ekpo Nta said security operatives alone could not fight corruption, adding that all hands must be on deck to do the right thing and report corrupt activities. He said the forum derived its legal framework from section 6 (b-f) of the Corrupt Practices and Other Related Offences Act 2000, which empowers the commission to prevent corruption through system studies and reviews of government agencies. At the time of writing, APC delegates’ votes are still being sorted at the APC Convention venue in Lagos, so I cannot offer Vanguard readers any comments about the APC’s Presidential candidate because I don’t yet know which of the aspirants will win. And if I hang on any longer to await the result, I will not be able to complete this column before the printing deadline for Friday’s paper. Ex-President Buhari has the upper hand at the moment. But anything can happen in politics. The Kano and Imo State Governors, Kwankwanso and Rochas Okorocha, are also doing pretty well and might wind up clinching the ticket. Anyway, by the time this column appears, we will all know who the APC’s flagbearer is; and a very interesting race will have commenced between Jonathan and Whoever. And though some folks are insisting that Jonathan will definitely be the victor because he is an incumbent with a dazzling array of advantages at his disposal, I reckon that a Jonathan victory is far from certain. I must say that I’m really surprised that PDP stalwarts chose to hand Jonathan their ticket on a plate. Instead of throwing the field open to eligible contenders and conducting primaries in a democratic fashion like the APC, they actively discouraged potential rivals from coming forward; and the PDP Convention, which also took place this week, was a coronation rather than a contest. This respectful gesture is great for Jonathan. But is it great for the PDP? Is Jonathan REALLY the best man the PDP can present to the electorate at a time when the Presidency has a major image problem and is being widely accused, both here and internationally, of various weaknesses, failures and errors of judgement… including its less than impressive handling of the war against Boko Haram, its tolerance of corruption and its inability to rescue the Chibok schoolgirls? And what about the fact that Abba Moro, the Minister of the Interior, is still riding high in office (and recently received a national honour!) despite having been in charge of a botched recruitment exercise that led to many deaths? In a normal country, just one of the above mistakes would be enough to ruin a head of state’s career and cause him to be replaced as the leader of his party! “Gen. Muhammadu Buhari is an upright man. Not many people know that his first daughter is married to an Igbo man from Anambra. He exempted Christians from performing duty on Sundays. As Head of State he slashed the number of Muslims going on pilgrimage by 50%. His driver and cook for the past 10 years plus are Christians, yet some uninformed Nigerians say he is a bigot. It is a pity that some people failed to understand that PDP deliberately capitalised on the gullibility of Nigerians to paint him black. This they did in order to keep their loot and ensure that he never gets the opportunity to send them to goal. On the other hand, Obasanjo has described Jonathan as below average…and that’s the most polite criticism he has uttered against Jonathan. I won’t bother to repeat the other much more toxic remarks that Obasanjo has lavished on his onetime protégée because Jonathan’s fans are always accusing me, nowadays, of hating the Jonathan I once fanatically supported like a Sister; and I myself feel sad whenever I complain about Jonathan or repeat other peoples’ complaints about him because I DON’T hate him. I am just upset with him for not fulfilling his potential. I wanted him to be a hero. Jonathan’s fans also frequently say that Obasanjo is unfair and biased. But I wonder why Obasanjo should attack a successor HE selected if he was not honestly disappointed in that successor! I could be wrong, but I strongly suspect that Obasanjo also throws brickbats at Jonathan reluctantly because Jonathan’s performance reflects badly on him. If you recommend someone for a job and the person blunders often and rarely shines, people will blame you as well as your nominee; and many people are indeed blaming Obasanjo for choosing Jonathan; and I may be wrong, but I think that Obasanjo wanted Jonathan to be a fantastic leader and would have preferred to proudly carry Jonathan on his head and declare him a huge success. Anyway, whatever the outcome of the 2015 election, let’s pray that Nigeria gets better in the coming years because, as things stand, it can’t get much worse. IN a feat of acerbic verbal tantrums, Nobel Laureate Professor Wole Soyinka Tuesday December 2, attacked President Goodluck Jonathan and likened the Nigerian leader to Nebuchadnezzar the biblical autocrat and king of Babylon who initially denounced the Living Supreme God. Soyinka who addressed a press conference on the state of the nation at the popular Freedom Garden in Lagos, said that Jonathan is tyrannical because the Inspector General of Police Suleiman Abba stopped the attempt by the defected speaker of the House of Representatives, Aminu Tambuwal to enter the Green Chamber of the National Assembly with thugs. The respected professor of dramatic literature who is clearly biased in his recent pronouncements given his current alignment with top leaders of the opposition political party, the All Progressives Congress (APC) said so many unprintable things against the administration of President Jonathan. Indeed, the distinguished playwright is entitled to his opinion especially in a wide democratic space in which freedom of association and of speech is the norm. But it is unfortunate that the renowned literary icon could allow his judgment to be beclouded by ahistorical considerations. By this recent act of likening Jonathan to Nebuchadnezzar, Soyinka has come down from his Olympian height as a global citizen and statesman to the sheer pedestrian rabble of petty villainy and rancour. It is a pointer to the fact that every great intellectual has his weak points. Our own Kongi is no exception. Even with the unsavory political development in Anambra State in 2004 which led to the unfortunate withdrawal of the security personnel of former Governor Chris Ngige after his attempted abduction by the police, no Nigerian, not even Professor Chinua Achebe who rejected former President Olusegun Obasanjo’s national award due to that crisis, went as far as comparing the former President with Nebuchadnezzar. For the benefit of the reader who might not know the ancient/biblical story, Nebuchadnezzar was king of the Neo-Babylonian Empire who reigned c. 605BC-562BC. He was said to have constructed the Hanging Gardens of Babylon (now Iraq) and the destruction of the Temple of Jerusalem. Nebuchadnezzar II was the fourth king of the Second Dynasty of Isin and Fourth Dynasty of Babylon who ruled for 23 years. One very notorious fact about him is that Nebuchadnezzar did not recognize the existence of the God of heaven and was basically tyrannical. But he later bowed to and worshipped God when he saw the efficacy of God’s mysterious powers as demonstrated by Daniel the young Jewish believer. Given Jonathan’s antecedent and pedigree as a faithful adherent of the tenets of the word of God whose administration strictly adheres to the fundamental principles of the rule of law, Soyinka’s attempt to demonize him is wicked and unacceptable. In the light of the above statement that Nebuchadnezzar did not know God and the reality that Soyinka does not believe in the God of heaven, Soyinka and Jonathan, who is like Nebuchadnezzar? Every discerning Nigerian who can read between the lines knows where Soyinka is coming from. His recent outburst is yet another pure political statement by an APC sympathizer meant to rattle the President and sway the sympathy of Nigerians from his administration. Suddenly everyone who thinks he has something to say has now turned to a primary school headmaster wielding a big stick to whip the leader of the world’s largest Black Country. “Jonathan Bashing” is the name of the game. Soyinka who relishes controversy, who enjoys being primed in the fantasy of the media has cooked another meal to attract acclamation. But the applause he received in Lagos in the name of Jonathan-bashing to humour Nigerians was a soured one. It is a grand, though disingenuous alibi not only for parrying the barbs of those who see him as hobnobbing with the opposition, but also a ploy to curry favor from Nigerians for those who vowed to make the country ungovernable and still planning to form a parallel government if Jonathan wins in 2015. Of course, Soyinka has always been tactless in his political (mis)adventure and intellectual over bearingness. Yet, it is unthinkable that Soyinka is now on the side of the feudal forces still determined to keep Nigeria in perpetual medieval servitude. Without necessarily alluding to his rapport with the military regime of General Ibrahim Babangida whom he described as an autocrat soon after IBB refused to grant their (he, Achebe and J. P. Clark) petition to spare the life of the poet/soldier Mamman Vatsa, and he burnt his fingers, Soyinka has not always been ideologically so refined as to escape the crudity of the orthodox left. In spite of everything, those of us his younger admirers still manage to ask ourselves: why did Soyinka abandon his search for the killers of Dele Giwa, the colorful Nigerian journalist who was bombed in his study on October 19, 1986? As a renowned statesman and global citizen, Soyinka’s words should act as a soothing balm which would heal this troubled land of ours instead of taking sides in petty partisan showmanship thereby heating up the polity. It is amply absolutely absurd and anti-intellectual for Soyinka to circulate that a man like Jonathan, who cannot hurt a fly, who is so mild and apolitical that even the opposition branded him “clueless” is worse than Nebuchadnezzar. If the truth be told, just as Jonathan has dwarfed the achievements of past administrations in terms of infrastructure, so is also his achievements in the area of fundamental human rights. Jonathan is the most abused and attacked President in the annals of this country, and if not for his humane temperament Nigeria would have been worse than Sudan by now. Yet, how many Nigerians or even his political opponents are unjustly harassed or languishing in gaol? How many are reported killed as a result of political vendetta or envenomization? How on earth would a man like Jonathan be branded an autocrat, not even by those who have an open agenda to pull him down but by a respected international figure such as Soyinka who claims to be the conscience of humanity and yet hobnobbing with corrupt politicians? Why has Soyinka not condemned this eerie act of déjà vu called political defection, which is being used to tear the country apart by politicians of all shades? How right can Soyinka be if he encourages the opposition to take up arms against the Jonathan administration as they are gradually doing? Why would the police allow Tambuwal to invade the National Assembly with political thugs? When has thuggery become constitutional because it favors a particular political party that has the support of the Nobel laureate? Nigerians of goodwill should condemn Soyinka’s attempt to demonize President Jonathan. The polity has become so over-heated with the Boko Haram insurgency and threats from different factions. Over-heated from political, economic to socio-cultural threats. With these conditions, coupled with the unprepared nature of the Independent National Electoral Commission, I think it will be on the best interest of Nigeria to shift the elections and pave the way to tackle these various threats which are more important now. There’s no need going into an election which may end up inconclusive and compound the already worse security situation in our hands. Kindly allow me to use this medium to comment on the Open Letter of Muhammadu Buhari, the All Progressives Congress presidential candidate to the delegates of his party at the just concluded primaries to elect the party’s flag bearer. In as much as I was not a delegate, it is pertinent to draw the attention to some salient issues raised in the letter. Buhari said he was seeking for HELP from the delegates to nominate him as the standard bearer for the party. He posited that his quest was not for personal ambition but, that it was driven because he believed he had something to offer Nigerians and the country at this time of multiple crises. He mentioned insecurity, corruption and economic collapse as some factors that have brought the country low. He further stressed that it is overdue for all and sundry to work together to lift Nigeria up. To this end, he said he was ready to lead Nigeria to its rightful future. Buhari said emphatically, that he had served Nigeria to the best of his ability and that he had always tried to give more to the nation than the country had given him. According to him, this is the principle of service that has guided his public life. This is an open claim and challenge to anybody who has a contrary opinion to puncture. Otherwise, it is an admission of the fact of the matter. Buhari said that he was not a rich person. This is also an open claim and challenge to anyone who has a contrary opinion to come forward with proof, if not, it would be admitted as a statement of fact.